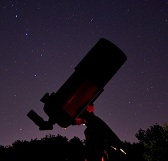 ← Total Lunar Eclipse Tomorrow Night! Images & video credit & copyright: NASA. Many images and videos below. “If we die, we want people to accept it. We are in a risky business and we hope that if anything happens to us it will not delay the program. 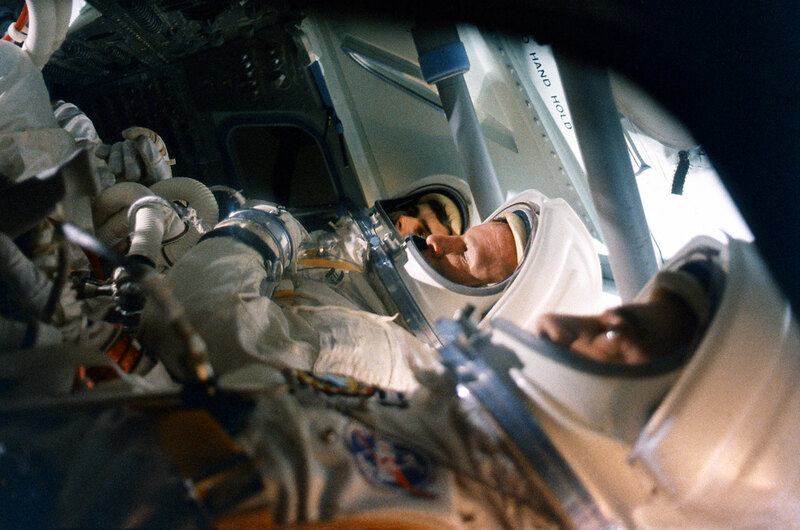 The conquest of space is worth the risk of life.” – Virgil I. 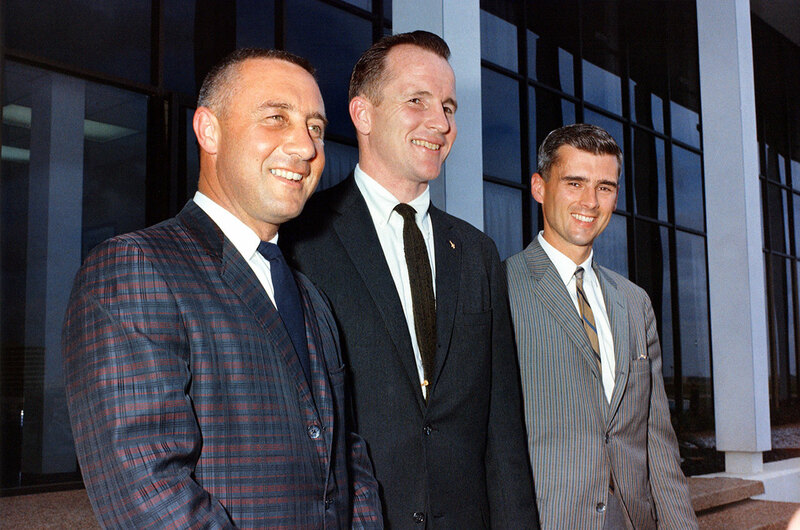 “GUS” Grissom after the Gemini 3 mission in 1965. Most enter the final week of January as any other. Days begin to grow longer as the chill of winter brings its worst, while thoughts of spring begin to thaw our minds so long as we can dodge a few more winter storms. There are many of us however, that view this 6 day period in an entirely different light. This is a week that we remember NASA’s darkest week and the terrible loss suffered through the years. 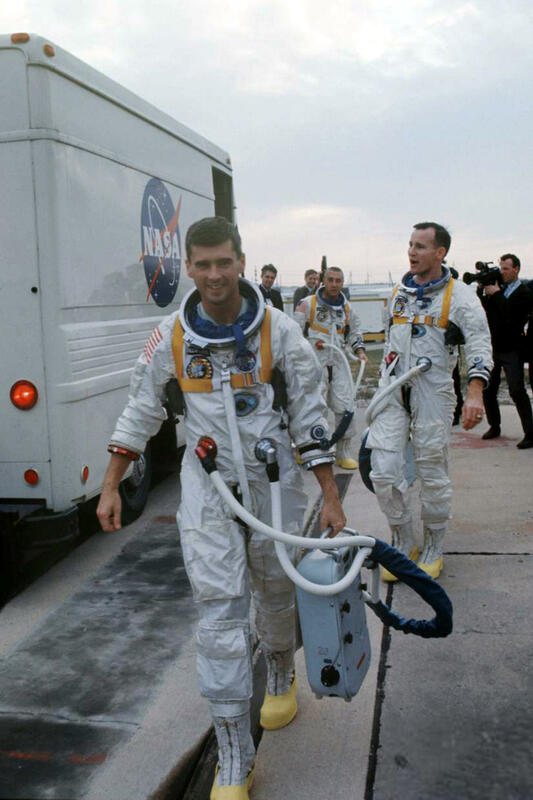 It’s a week that, over the course of a couple generations witnessed 17 Astronauts meet their ends. I will, in the next few days do my best to help us all remember them, how much they meant to the industry, and how much they meant to those of us who remember them every day even though we had never met them. 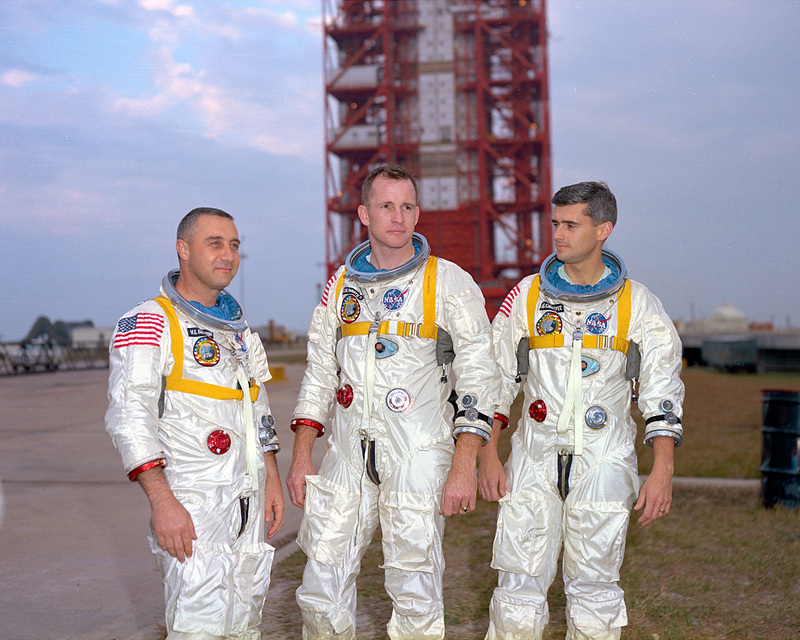 January 27, 1967 Cape Canaveral, Launch Complex 34 (LC-34): As the three-man crew worked through a training exercise high atop Saturn 1B launch vehicle (SA-204, also called AS-204), sealed inside Command Service Module (CSM) CM-012 in preparation of the first crewed mission of Project Apollo, all seemed to be progressing however slowly, toward that milestone. 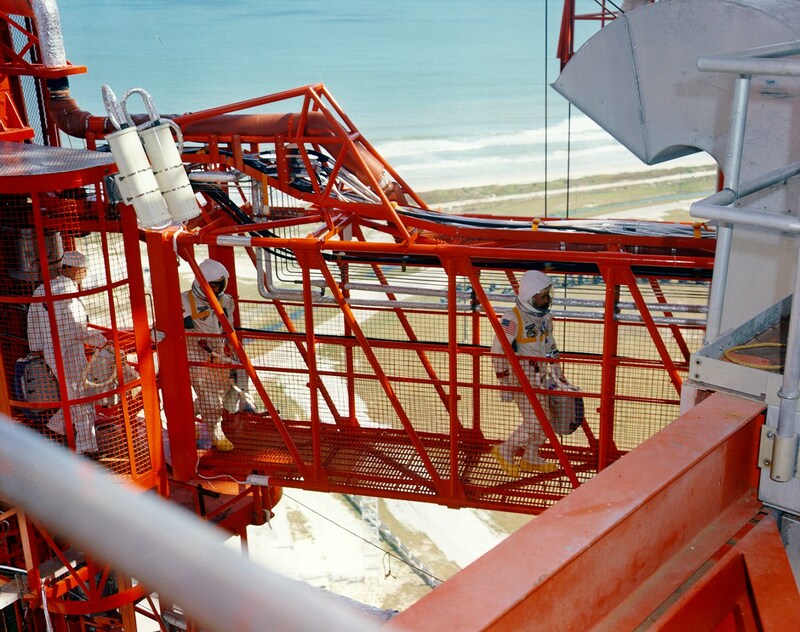 The goal of this particular test was to prepare the command module for its first crewed flight, which was tentatively scheduled for February 21st of 1967 (just a few weeks later). 23:30:54.8 UTC (18:30:54.8 EST) An electrical surge was recorded in AC Bus 2 Voltage and though there’s no way to confirm, this is believed to be the cause of the fire. 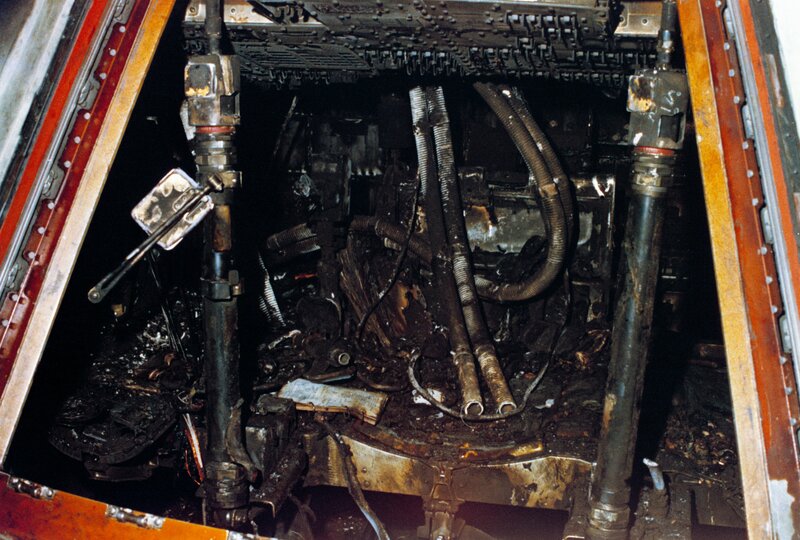 The fire rose from its ignition point vertically up the left wall of the cabin (nearest Grissom) and spread from left to right across the ceiling. 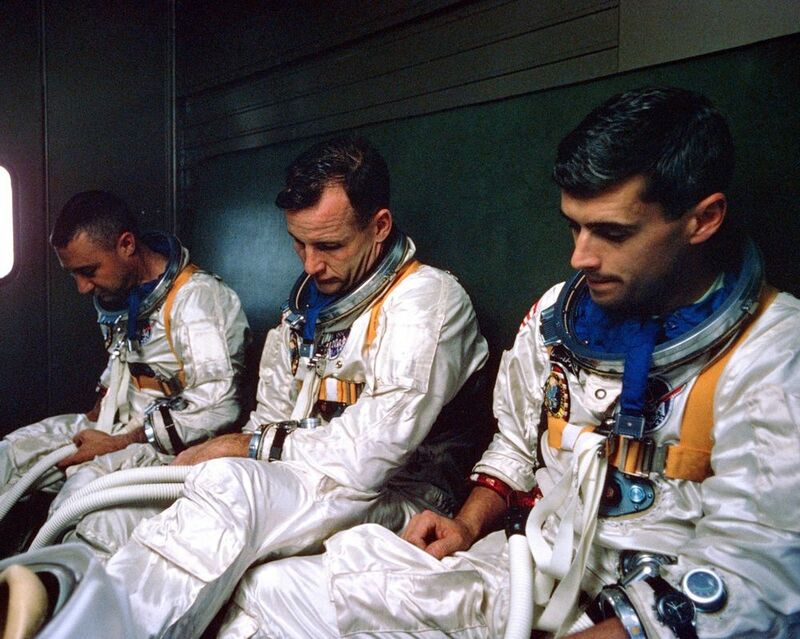 23:31:06.2 UTC (18:31:06.2 EST) White again shouted “Hey, we’ve got a fire in the cockpit!” As he was sitting in the center seat, White attempted to open the inner hatch but was unsuccessful due to the force of the pressure inside the cabin and the fact that the hatch opened inward. 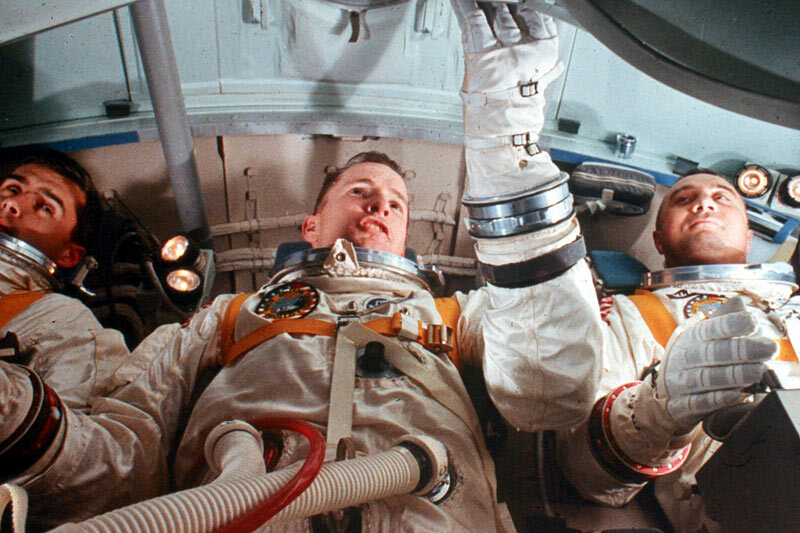 23:31:16.8 UTC (18:31:16.8 EST) A few seconds after that Chaffee shouted, “We have a bad fire…” and then again he screamed, “We’re burning up!” That, along with the sound of the inner hull of the spacecraft rupturing at 23:31:19 UTC (18:31:19 EST) from the pressure which had built to 29 psi, was the final transmission from the spacecraft. 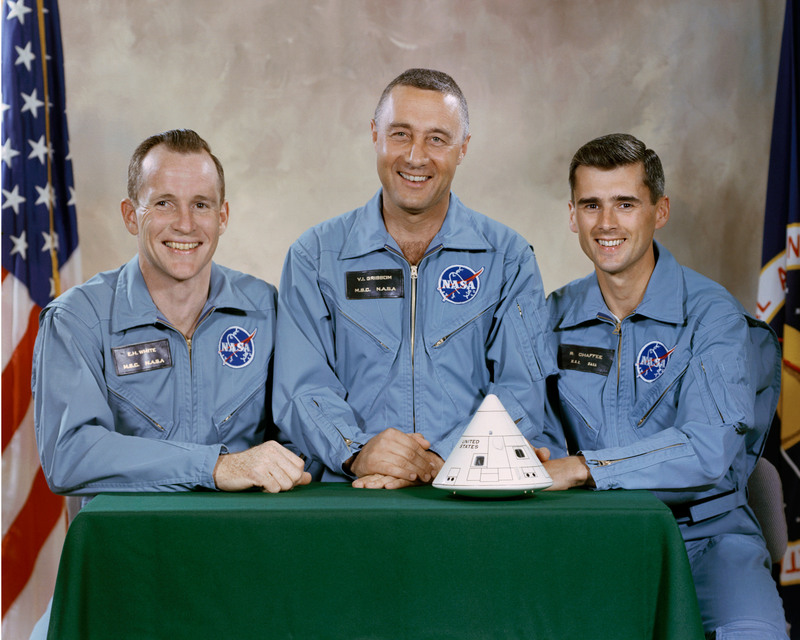 All voice transmissions ended at 23:31:21.8 UTC (18:31:21.8 EST) only 17 seconds after the first report of fire……The crew of Apollo 1 had been lost. 23:36:31 UTC (18:36:31 EST) Pad Leader reported that all three hatches were now open. 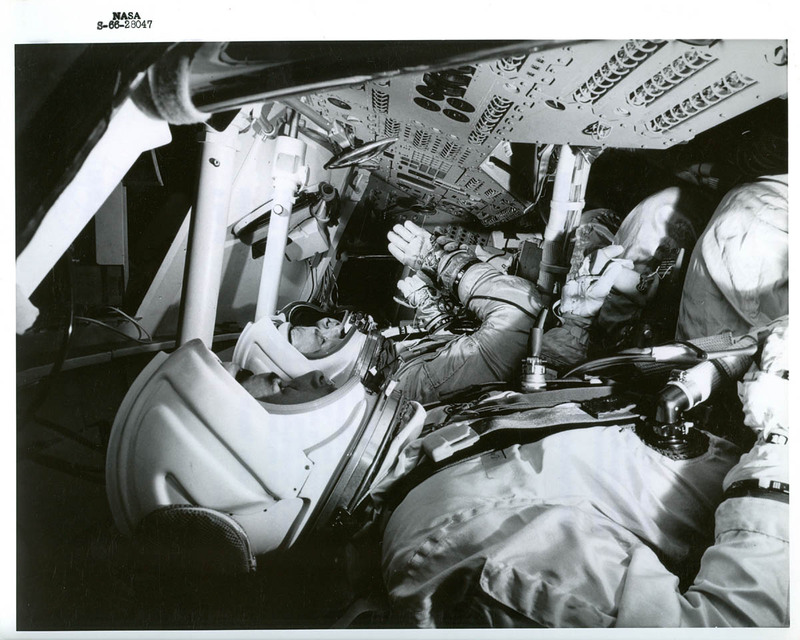 The hatch consisted of three parts; a removable inner hatch, a hinged outer hatch that opened outward and was part of the spacecraft’s heat shield, and an outer hatch cover that also opened outward. This outer hatch was a boost protective cover for the entire command module to protect it from aerodynamic heating during launch, and from launch escape rocket exhaust in the event of a launch abort. 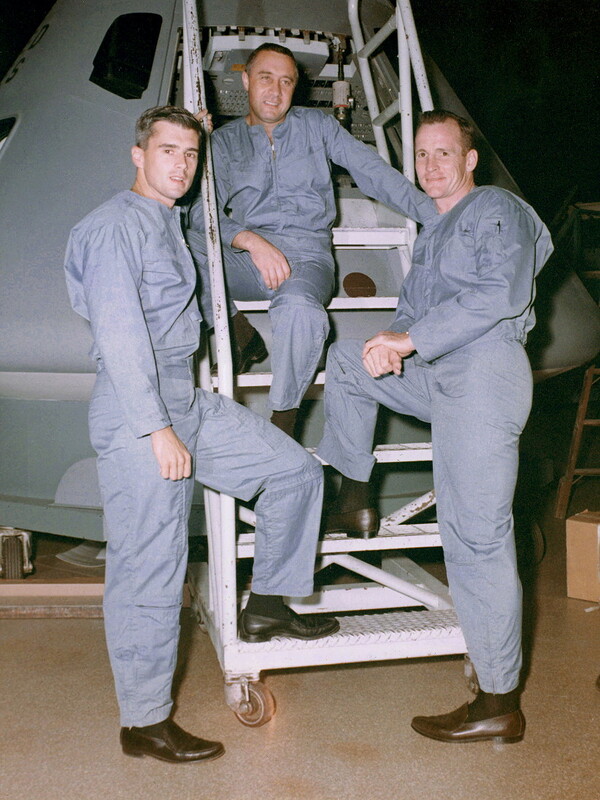 Two of the crew (Grissom and White had left their harnesses in an attempt to open the hatch while Chaffee was still strapped in per emergency egress procedures which asked him to remain strapped and hooked into communications until it was his turn to egress as the final crew member. 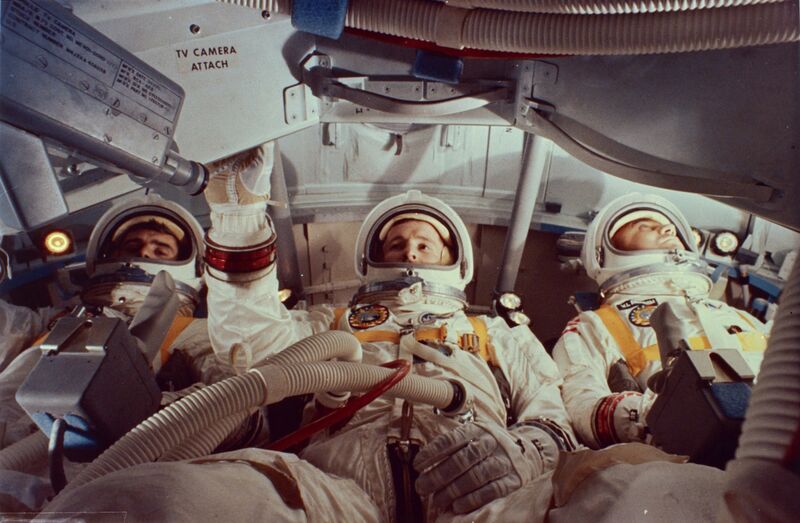 07:00 UTC (02:00 EST) Removal of the crew was completed nearly seven and a half hours following the incident. Immediate removal of the bodies could not occur because of how badly they were burned. 3: Large amounts of flammable material in the cabin. 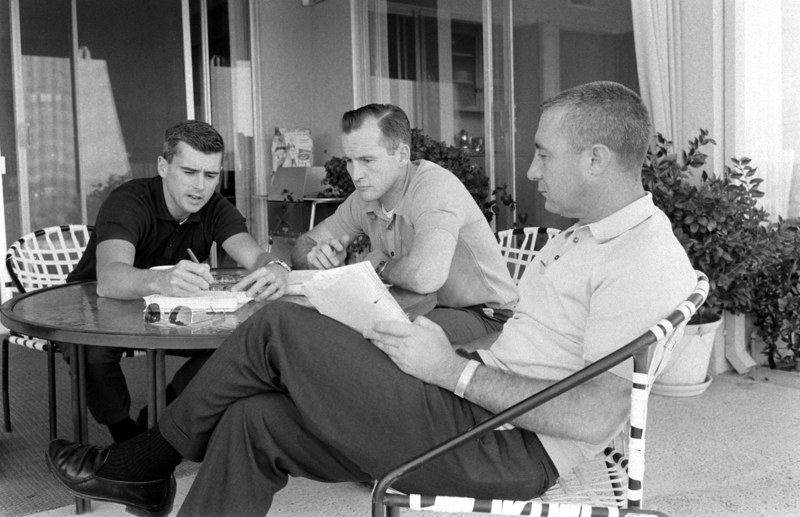 Buzz Aldrin later stated in his book that after the spacecraft review meeting on August 19, 1966, Shea gave the order to have the flammables removed but didn’t oversee the order personally and due to that lack of oversight, the materials were later placed back into the spacecraft before packaging and subsequent shipping to Kennedy Space Center (KSC). The autopsy report cited cardiac arrest through high concentrations of carbon monoxide as the cause of death. 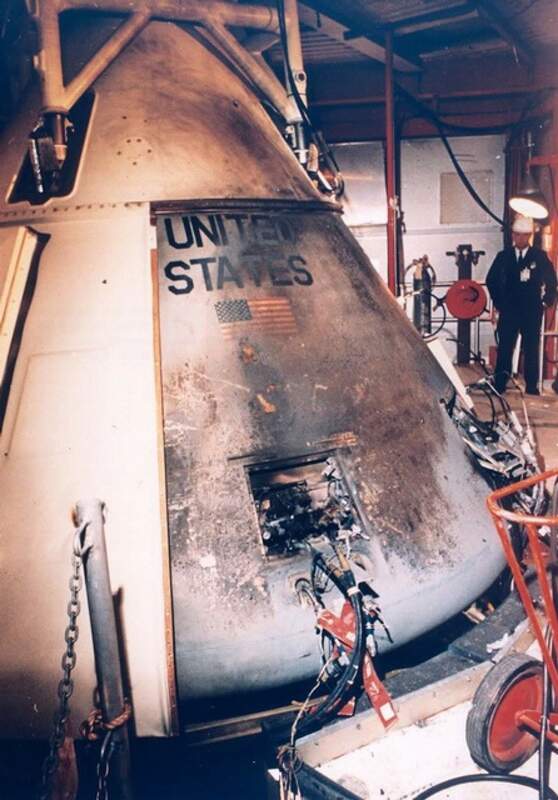 Though the crew suffered massive third degree burns (White was the worst with roughly 50% of his body covered in third degree burns), this was noted to be caused postmortem. 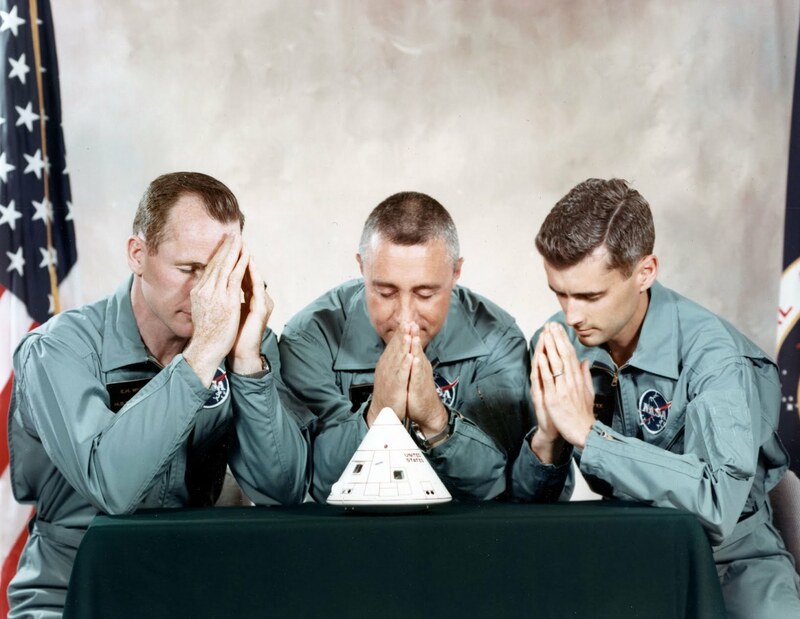 April 24, 1967: at the request of the widows, Mission AS-204 was officially changed to Apollo-1 as the three astronauts themselves called the mission. 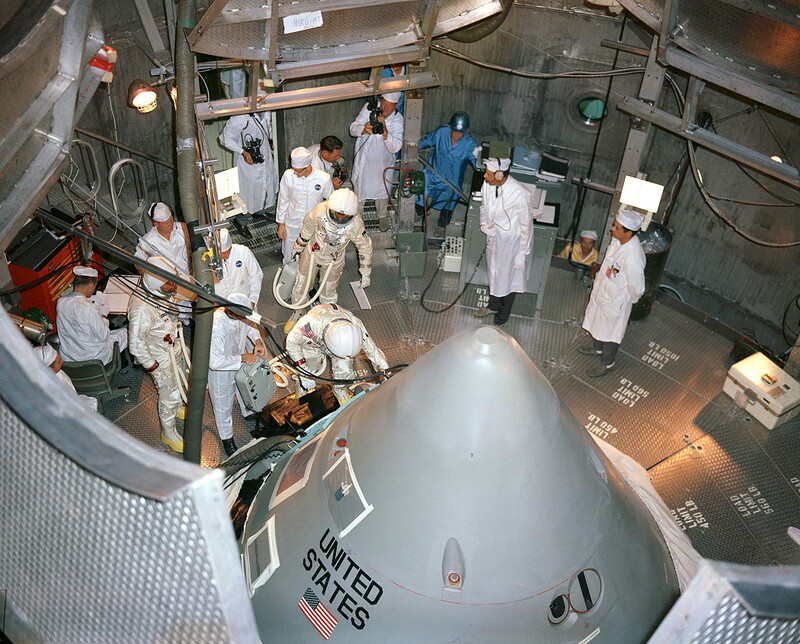 North American Aviation (NAA) delivered Command Module 12 (CM-012) from their plant in Downey, CA to Kennedy Space Center on August 26, 1966 under a conditional certificate of flight worthiness. 113 planned engineering changes were still incomplete and 623 engineering change orders were made following delivery. The crew was frustrated; however this wasn’t the first time that the patience of the crew had been tested. At one point Grissom had become so frustrated with the number of changes as well as the lack of ability of the simulator to keep up with those changes, he had actually brought a lemon from a tree at his home and hung it on the simulator to say the craft was a lemon. 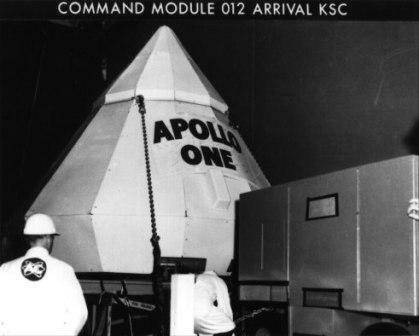 Today, Command Module 12 (CM-12) remains in storage at NASA Langley Research Center in Virginia where it has been since 1967. After residing in a wooden shed for decades, it was moved roughly 90 feet to an environmental shelter on Saturday, February 17, 2007. The launch vehicle, Saturn 1B (SA-204 or AS-204 as it’s also called) was undamaged in the fire and subsequently flown on Apollo 5 from LC-37B; the first uncrewed flight of the Lunar Module (LM-1). “You sort of have to put that out of your mind. There’s always a possibility that you can have a catastrophic failure, of course; this can happen on any flight; it can happen on the last one as well as the first one. So, you just plan as best you can to take care of all the eventualities, and you get a well-trained crew and you go fly.” – Virgil I. 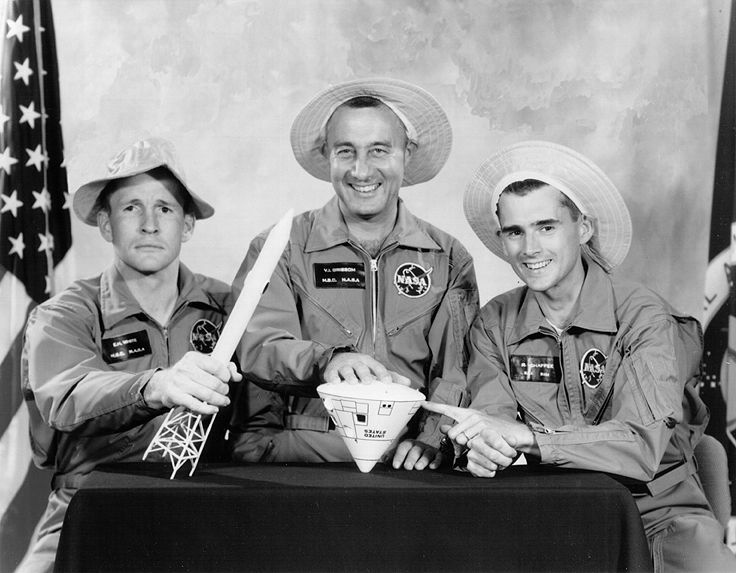 “GUS” Grissom. 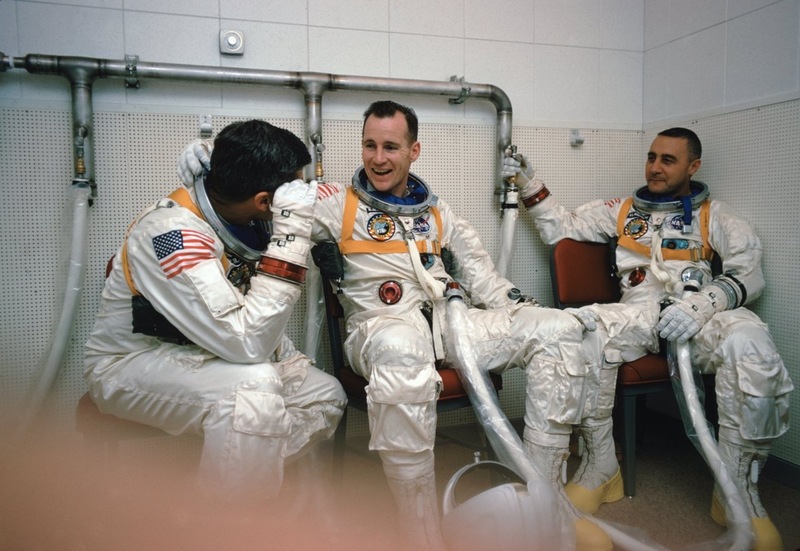 Image | This entry was posted in Images, Launches, News, People and tagged Ad Astra Per Aspera, Apollo 1, Apollo One, AS 204, AS204, Ed White, Gus Grissom, NASA, Per Aspera Ad Astra, Roger Chaffee. Bookmark the permalink.